Dr. Martin Erdmann has just released a newly published edition of his book originally titled The Millennial Controversy in the Early Church. 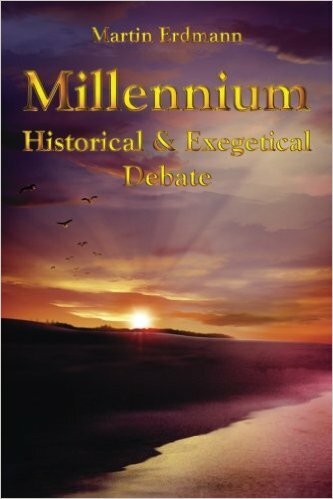 The updated book, titled Millennium: Historical & Exegetical Debate, is now available on Amazon.com HERE. This book is very current and relevant to the ongoing debates about eschatology in the church. It is important to understand early church history on these topics. In the ante-Nicene age the belief in a literal millennium was one of the most important aspects of Christian eschatology.It was a viewpoint widely held among many early Church Fathers in Asia Minor (modern Turkey), such as Papias, Justin Martyr, Irenaeus, Barnabas, and Tertullian. One of the most monumental developments in theology occurred when the Roman Catholic Bishop of Hippo, Augustine, published his book De Civitate Dei (The City of God) in the early 5th century AD, addressing diverse topics such as theology proper, Christian philosophy, martyrdom and eschatology. According to a well-established consensus among church historians, Augustine was the most influential of all Church Fathers in the West. More than any of his other books, The City of God set the tone of theological discourse in the Western Church for many centuries to follow, and is even today known for its advocacy of Amillennialism which became the undisputed view of the Roman Catholic Church from then on, justifying its pretensions to supreme earthly power, usually realized and upheld by the edge of the sword. Not even the main Reformators of the 16th century, such as Martin Luther and Johannes Calvin, thought it necessary to challenge the Amillennialism of their ecclesiastical opponents, while simultaneously rejecting the concomitant view that the Kingdom of God was coextensive with the Roman Catholic Church giving the “Mother Church” the exclusive right to dispense forgiveness of sins (absolution; indulgence) and eternal salvation. Interestingly enough, however, the young Augustine, immediately following his conversion, espoused Premillennialism in accordance with the millennial view of the early Greek Church Fathers. What made him change his opinion on this theological issue in later years was his disgust about the fanciful embellishments in the descriptions of millennial conditions on earth which he found in the writings of the Greek Church Fathers. The problematic aspect in Augustine’s mind was not so much the literal interpretation of Revelation 20:1-10, but the perversion of Christian eschatology by these early Church Fathers. Without exception they referred primarily to extra-biblical sources, mostly to select works of the Jewish Apocalyptic Literature (e.g., The First and Second Book of Enoch, The Secrets of Enoch, 4 Ezra, The Second Book of Baruch and the The Book of Jubilees), in elaborating their millennial views. 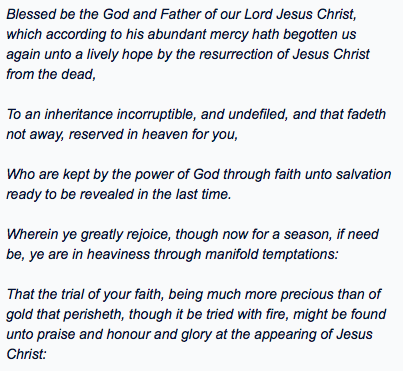 The Greek Church Fathers committed the hermeneutical error of claiming that the passages they cited, for example, from I Enoch describing the abundant fruitfulness of mankind (10:17) and of the vegetation (10:18f), and II Baruch 29:5-8 were descriptive of what the Apostle John had in mind when he committed his prophetic vision of the thousand year reign of Christ on earth to writing. It was a classic case of eisegesis, not exegesis; meaning, instead of limiting one’s interpretation of what the canonical text actually says (i.e., exegesis), the commentator refers to extra-biblical sources, in order to arrive at a more elaborate, often twisted, meaning of the text (i.e., eisegesis). This unfortunate hermeneutical procedure had tremendous negative repercussions, as briefly noted above. We have also written about Dr. Erdmann's book while describing some of the newer manifestations of millenarian eschatologies arising and causing controversy in our modern-day era. We quoted excerpts from the book in the March 7, 2013 post titled: "The Rise of Apocalyptic Paganism in the Church: Bible Prophecy in Crisis." For further reading, and for a good example of the relevance of Dr. Erdmann's book to current church eschatology issues, see also Dr. Erdmann's Feb. 28, 2013 post, "The Emerging Galactic Religion: Science Fiction and the Rise of Technocratic Posthumanism." To obtain a copy of Millennium: Historical & Exegetical Debate, visit Amazon.com HERE. To order Dr. Erdmann's Discernment Conference talks, visit: http://home.etcable.net/hestervanboven/Latest%20Materials.htm. 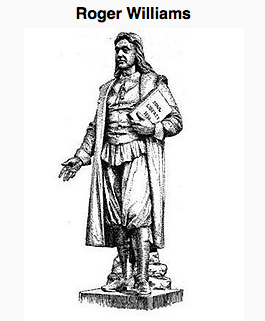 “...Men and brethren, let me freely speak unto you.... "
παῤῥησία parrhēsía, par-rhay-see'-ah; from G3956 and a derivative of G4483 (Strong's); all out-spokenness, i.e. frankness, bluntness, publicity; by implication, assurance:—bold (X -ly, -ness, -ness of speech), confidence, × freely, × openly, × plainly(-ness). The censorship movement is radical. It is starting to make everyone in the country feel harassed and anxious. It is odd to see candidates miss a rising issue that is giving pause to so many Americans. I pray someone will address it. Literally, I just did. 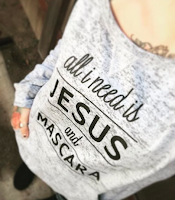 This Herescope post is an answer to her prayers. It may be an unexpected answer and a politically incorrect answer, but nevertheless it is a response. It represents an exercise in the right of free speech and freedom of religion. ...Americans are growing weary of being told what they can and cannot publicly say, proclaim and think. We all know what’s going on at the colleges, with the mad little Marats and Robespierres who are telling students and administrators what they are and are not allowed to say or do. This is not just kids acting up at this point, it’s a real censorship movement backed by an ideology that is hostile to the First Amendment to the U.S. Constitution. 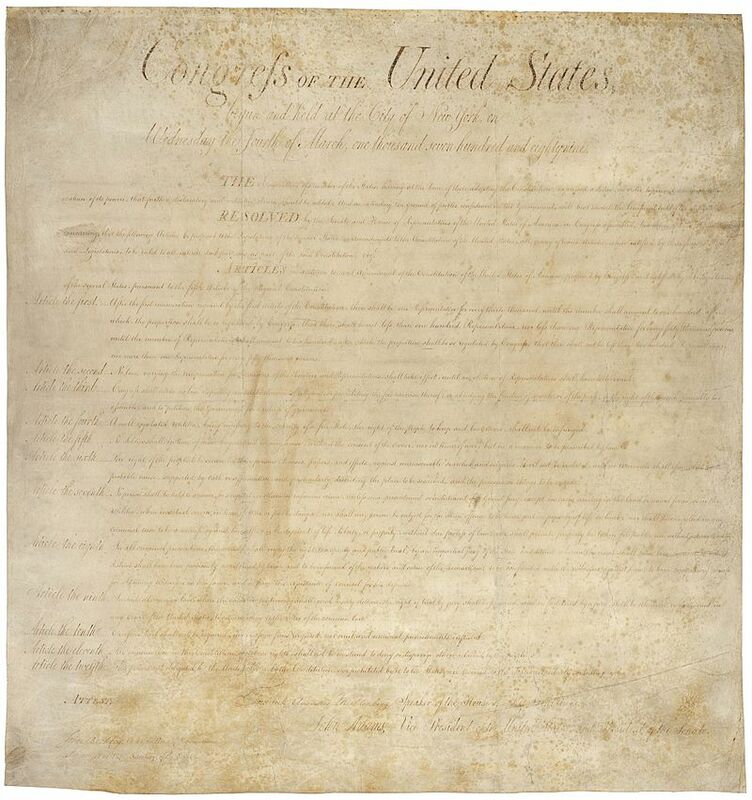 It is led by students who, though they managed to get into the greatest universities in the country, seem never to have been taught to love the little amendment that guarantees free speech and free religious observance, the two pillars without which America collapses. And too bad, because when you don’t love something you lose it. It is my impression that what is happening on the campuses is starting to break through as a real threat to what used to be called normal Americans. Shortly after reading Noonan's article I received a telephone call from my friend Warren B. Smith. He read me an article by Laura Turner titled “Jesus Calling and the policing of theology.” Say that again? The “policing of theology”? Warren has been an outspoken critic of Sarah Young's book Jesus Calling and has published a book and booklet tracts about his concerns. Turner's article specifically named him and Tim Challies, another critic of Sarah Young. After I told Warren about Noonan's column concerning censorship and free speech we each decided these articles needed a response. In an effort to support her position, Turner ironically links to an article that actually supports the complete freedom of expression that she attempts to discourage in her own article. The article she links to was excerpted from a book written by her “friend,” Liberty University English professor Karen Swallow Prior. Prior frames her piece with numerous and pertinent quotes from John Milton’s 1644 anti-censorship tract, Areopagitica. She writes that “Milton argued passionately in this treatise that the best way to counteract falsehood is not by suppressing it, but by countering it with the truth.” Prior states that the crux of Milton’s argument is that “truth is stronger than falsehood; falsehood prevails through the suppression of countering ideas, but truth triumphs in a free and open exchange that allows truth to shine.” Exactly! It is in this “free and open exchange” that Laura Turner has the right to say whatever she wants about Jesus Calling, but so does everyone else—even if they don’t happen to be “people who we know” and even if what they are saying and believing is that Jesus Calling is a “dangerous” book. After this introduction, Warren Smith boldly goes on to exercise his free speech. His booklet tract lists ten reasons why he thinks that Jesus Calling is indeed a “dangerous” book. Hurray for Warren! You can read the rest of his article (published into a booklet) online HERE. There is a difference between criticizing a book and calling it “dangerous,” and I think criticism ought to be fair game. But once we call something “dangerous,” we are precluding it from offering any good, and we are saying that our interpretation–our particular slice of Christianity–is the “right” one. Turner seems to be offended that there are Christians who warn that something is dangerous. To her this means that we are claiming our interpretation “is the ‘right one.’” The implication is that Tim Challies, Warren Smith, Pastor Steve Hudgik, and other critics of Jesus Calling—an extrabiblical book that audaciously purports to be the very words of Jesus speaking—are somehow imposing our religion on Turner or practicing censorship. But we aren't! We are merely practicing our right to free speech by publishing a warning. We care enough to inform people that we have read Jesus Calling and think it is a “dangerous” book. That's it! 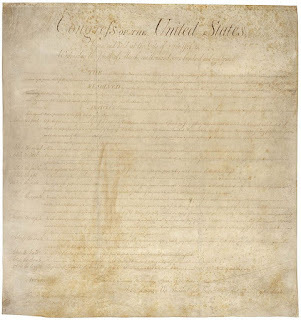 There are but two sorts of dominion;—first, that which is internal and spiritual, over the faith, souls, and consciences of men' and then that which is external, over their bodies and estates.... And two ways there are whereby supreme dominion in and about things sacred may be exercised;—one by making laws, ordinances, and institutions, religious or divine; the other by corporeal punishments and corrections of them who observe them not: and both these doth he exercise. 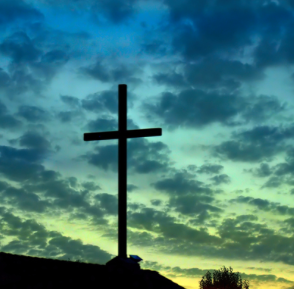 The Herescope blog has warned about the “dangerous” nature of the rapid rise of Christian Dominionism in America the past few decades. As this movement seeks to gain power, there has been an increasing prevalence of aggressive speech that is denigrating, racist, sexist, anti-Semitic, dehumanizing, ostentatious, threatening, intimidating, bullying,... the list could go on and on. 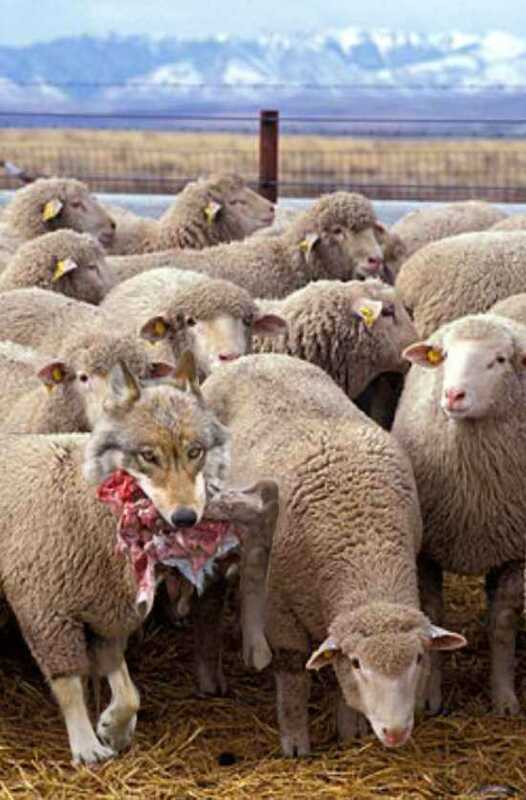 In fact, we have repeatedly warned about the rise in military warfare rhetoric coming out of Dominionist groups such as C. Peter Wagner's New Apostolic Reformation (NAR) and Mike Bickle's IHOP. We've actually feared that their provocative warfare speech could turn literal, at which time it could be rightly be construed as “dangerous.” We are not saying that these Dominionists should be censored. They have the right to their free speech and to exercise their freedom of religion. But history is filled with examples of men who desire to rule and reign as “tyrants” over others in the name in Jesus. It is for good reason that many fear their goals. Note: It is incorrect to assume that anyone who espouses a conservative biblical or political worldview agrees with these strident Dominionists. Unfortunately the political Left and the clueless media often mischaracterize all evangelicals as Dominionists. However, our open publication of opposition to these leaders is proof that there some are still standing against this movement, albeit a small remnant. “The Hoax of Free Speech”? And then there is newspeak. When I was a newcomer to the political process during the decade of the 1980s I was trained by some Washington media types to do “spin.” (This would have been the same era when Peggy Noonan was President Reagan's speechwriter.) I learned how to do “spin doctoring” proficiently, including how to regurgitate pre-determined “talking points” issued by national groups with agendas. As a high profile leader who was frequently interviewed by the local, state and national press, I was expected to learn how to deflect questions by avoiding answering them directly. I was taught how to select certain facts and ignore others, thus presenting forth the best possible image. I have since repented of this, and regret that learning these behaviors became so ingrained that I sometimes catch myself still doing this. 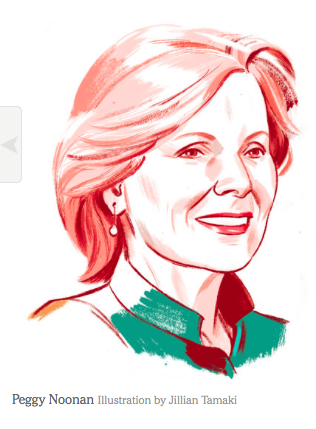 Perhaps Peggy Noonan should confess this, too. In our media-saturated world there is now a dearth of decent and kind, not to mention truthful, free speech. The basic elements of politeness and remnants of civility are eroding rapidly, giving rise to commonplace “in your face” obnoxiousness and “gotcha” behaviors. The Internet and social media are crawling with a cacophony of cursing, crazed rants, name-callings, rudeness and other nastiness. And there is a disturbing increase in angry and threatening speech. Furthermore, each day our e-mail accounts are flooded with virulent anti-Islamic, anti-Semitic and/or anti-Hispanic propaganda. Some of the content is obviously photo-shopped. These e-mails are being forwarded by Christians. Seldom have the senders done fact-checking, or searched deeper to find out the agenda behind the people or organizations promoting these agendas. To forward such ramped-up hysteria and bigotry, especially without checking the veracity and source, is tantamount to spreading lies and gossip at best, and contributing to drumming up hatred at worst. Nevertheless, these e-mails represent free speech. Your personal freedom to engage in “censorship” is as easy as clicking your trash icon. You may also wish to confront those who are promulgating such awful fear-mongering. All of this reminds us of Jesus' words about endtimes in Matthew 24:7, “For nation shall rise against nation,” which in Greek is the word ethnos from which we get our word ethnic or ethnicity. Perhaps this fact alone might make a few people think twice before they push the send button to forward on these incendiary e-mails. Be aware that this free exercise of speech is now considered to be “hate speech” by those secularists who would institute their own version of a humanist-dominated church-state. But is the mere act of free speech deemed imposing one's religion on another? Communication 101 teaches that this is a two-way street. Someone may say something you dislike, but you don't have to listen. You can ignore it, rebut it or walk away. Old-timers will remember that parents used to teach their children the little toughening-up ditty: “Stick and stones may break my bones, but names will never hurt me.” What makes public communication abusive? The power to actually bully and coerce, especially if this power originates from the civil or the church authorities. Heaven help us if the two merge into yet another historical manifestation of a church-state. Many have already written on this topic but it is worth revisiting in today's oppressive climate. The model for every professing believer should always be the Scriptures, particularly the New Testament. The ability to share the Gospel of salvation is inextricably connected to the freedom to speak. This freedom is not extended by civic and church leaders, but by the Lord Jesus Christ Himself. First, observe Jesus. In Gospel of John, chapter 8, Jesus told the Pharisees that, “But now ye seek to kill me, a man that hath told you the truth, which I have heard of God....” (John 8:40). The rest of the story is a wonderful teaching lesson as Jesus spoke the truth and the Pharisees resisted it. They got so mad at His words that they wanted to kill Him! From this example we learn there can be a hefty price for daring to tell the truth. 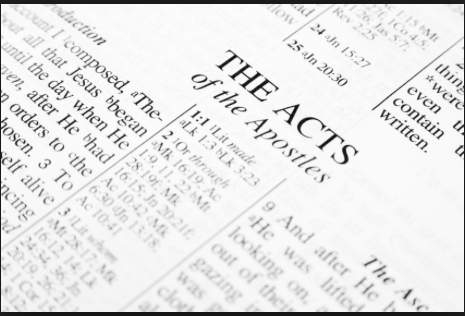 Second, observe Peter and John in the opening chapters of Acts. When these disciples were called before the authorities for preaching the Gospel of Salvation, “Jesus Christ of Nazareth, whom ye crucified, whom God raised from the dead” (Acts 4:10), they were “commanded... not to speak at all nor teach in the name of Jesus. But Peter and John answered and said unto them, Whether it be right in the sight of God to hearken unto you more than unto God, judge ye. For we cannot but speak the things which we have seen and heard.” (Acts 4:18-20). What an astonishing proclamation of free speech! The reaction of the council is very interesting: “Now when they saw the boldness of Peter and John, and perceived that they were unlearned and ignorant men, they marvelled....” (Acts 4:13). Which brings us back to Laura Turner's article. She made the statement that “Theology policing is a job best left to the Holy Spirit, and then to people who we know.” The theological and political incorrectness of Peter and John's qualifications, combined with their assertive proclamations about what constitutes truth, certainly wouldn't fit Turner's criteria. May we all be willing to be considered unlearned and ignorant if it will further the Gospel! The idea of warning is interlinked with discernment. Practicing discernment is an act of free speech. 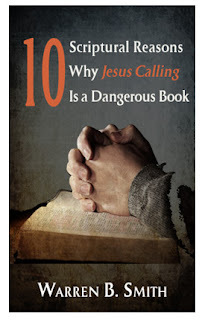 Warren Smith wrote in his new booklet tract 10 Scriptural Reasons Why Jesus Calling is a Dangerous Book that there is a scriptural responsibility to be discerning, and that we should warn others when we know something is dangerous. Warning someone does not mean that we are being Theology Police, nor does it mean we are imposing our view on others, nor are we engaging in censoring. In fact, we are compelled to warn others with a heartfelt attitude of deep humility, grief and tears. Believers experience dangers to their faith, from both without and within. Should we neglect so great a calling (Heb. 2:3)? Particularly when we have prior experience with something that we know firsthand to be dangerous? 2. 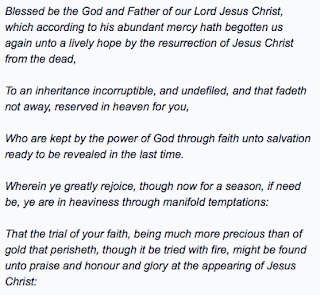 John Owen, D.D. (1616-1683), Exposition of Hebrews, Vol. 3, Reprinted by Banner of Truth Trust, 1991, page 562. Owen is expounding on Hebrews 3:6, "if we hold fast the confidence and the rejoicing of the hope firm unto the end." The Bible verse citations in this quotation were updated to reflect modern style. 3. 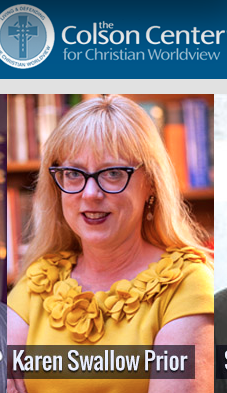 Laura Turner, “Jesus Calling and the Policing of Theology” (Religion News Service, November 12, 2015; http://lauraturner.religionnews.com/2015/11/12/jesus-calling-and-the-policing-of-theology/). 4. Warren B. Smith's NEW BOOKLET TRACT: 10 Scriptural Reasons Why Jesus Calling is a Dangerous Book, http://www.lighthousetrailsresearch.com/blog/?p=18852 and http://www.lighthousetrails.com/mm5/merchant.mvc?Screen=PROD&Store_Code=LTP&Product_Code=BKT-WS-10-RS. Note that I took the liberty of altering the original footnote numbers in Smith's text to adapt his citations to this blog posting. Warren Smith also published his concerns about Sarah Young's Jesus in his book Another Jesus Calling: How False Christs are Entering the Church Through Contemplative Prayer. See http://herescope.blogspot.com/2015/12/merry-christmas-from-sarah-youngs-false.html and http://herescope.blogspot.ca/2013/11/another-jesus-calling.html. 5. Tim Challies, “10 Serious Problems with Jesus Calling” (November 11, 2015, http://www.challies.com/articles/10-serious-problems-with-jesus-calling). 6. Karen Swallow Prior, “Promiscuous Reading” (Posted at The Well, an InterVarsity online outreach to women, http://thewell.intervarsity.org/arts-books-media/promiscuous-reading). 9. Pastor Steve Hudgik authored and published RUN! It's Jesus Calling! Why You Should Throw Away Your Copy of Jesus Calling. See the Herescope posts: http://herescope.blogspot.com/2016/01/knock-knock.html and http://herescope.blogspot.com/2016/01/how-can-i-experience-presence-of-jesus.html. Pastor Steve Hudgik's book RUN! It's Jesus Calling can be purchased on Amazon. 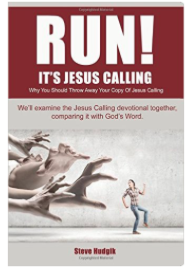 Here is the direct link: http://www.amazon.com/RUN-Its-Jesus-Calling-Should/dp/1517766869. 10. Owen, op cit, p. 568. 11. See the following Herescope posts, for example: http://herescope.blogspot.com/2014/04/the-battled-bride.html; http://herescope.blogspot.com/2014/04/the-battled-bride.html; http://herescope.blogspot.com/2011/07/ihops-new-breed-leaders.html; http://herescope.blogspot.com/2005/12/spiritual-war-fare.html; http://herescope.blogspot.com/2013/06/techno-dimensional-prayer-combat.html; http://herescope.blogspot.com/2006/04/joels-army-is-recruiting.html; http://herescope.blogspot.com/2007/03/emerging-apostolic-movement-will-be.html; http://herescope.blogspot.de/2011/10/c-peter-wagner.html. 12. Owen actually uses this descriptive term, contrasting it to a humble and obedient servant of the Lord. 13. This phrase is found in the lyrics to a Bob Dylan song, Caribbean Wind. Warren Smith pointed this phrase out to us. 14. Spin (public relations): https://en.wikipedia.org/wiki/Spin_(public_relations), links removed. 15. I was the President of Iowa Right to Life Committee in the years leading up to the 1988 Iowa caucuses. I have also had firsthand experience with many of the leading Dominionists. 16. Karen Swallow Prior, Ibid. 18. Warren Smith has a powerful testimony of coming out of the New Age movement. He knows firsthand the voice of a false Jesus. Therefore his warnings in his book and booklet tracts about the false Jesus of Sarah Young's Jesus Calling are especially poignant, and should be all the more seriously heeded. 19. We highly recommend Pastor Anton Bosch's book Contentiously Contending for those who are seeking to learn what the Bible says about how to contend for the faith. See http://herescope.blogspot.com/2010/07/contentiously-contending.html. Pastor Bosch says, in part, that his book was written because "I am deeply concerned that many who involve themselves in these ministries do so for the wrong reasons and/or with the wrong attitude. In the process they cause more damage than the very error they are trying to correct. My intention with these humble words is not to discredit or discourage those who sound the alarm, but to exhort such to use the right methods, with the right attitude." Before the Religious Right there were decades of activity laying the groundwork for a merger of church and state. Power elite leaders such as John Foster Dulles and his brother Allen began to drum up religious fervor as a tool to build their utopian vision of a global international order. Their influential efforts would eventually gain more traction during the Eisenhower administration where both of these brothers ascended to prominent positions of power. By 1980 their vision would culminate in the rise of the Christian Right. This fascinating early history is now more readily available to readers. Dr. Martin Erdmann has just re-released his landmark study on the earliest efforts to build the kingdom of God on earth, otherwise known as Dominionism. 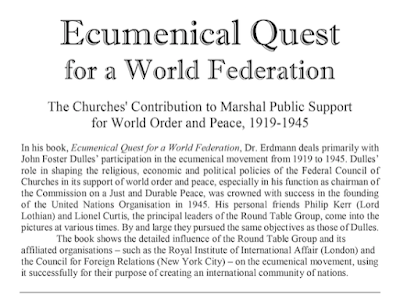 His book is now offered online under a new title, Ecumenical Quest for a World Federation. The book is available HERE and HERE. Dr. Erdmann's work was originally titled Building the Kingdom of God on Earth: The Churches' Contribution to Marshal Public Support for World Order and Peace, 1919-1945 (Wipf and Stock, 2005). Dr. Erdmann's access to files and records was unprecedented. 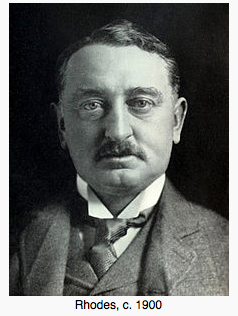 He had access to all of the source documents on the Round Table Group which are deposited at [Cecil] Rhodes House (this is the library of the Rhodes Trust which awards the Rhodes Scholarships) and freely available to the students of Oxford University (not to the general public). It is one of the libraries of Oxford University (the Rhodes Trust is located in the same building). "I am convinced that when Christianity reaches the point when it is able to bring the Kingdom of Heaven upon earth it will establish a world federation of some novel kind as the necessary institutional condition by which alone the Kingdom can be maintained in being." A new commitment to the concept of the kingdom of God on earth needed to be generated among the people at large and from the constituencies of the member churches, a commitment that had been notably absent for some time. Unless the Council succeeded in mobilising a grassroots movement of socially conscious Christians it would never realise the goals set out in the Social Creed. Thus the new emphasis on propagating the principles of the Social Creed was again designed to attain the kingdom of God on earth rather than to reach lost souls with the Gospel of the Lord Jesus Christ. 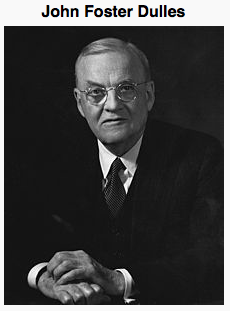 Dulles outlined the basic concepts of peaceful change and attacked what he regarded to be an unhealthy and obsolete concept of national sovereignty.… Human egotism could only be offset, he asserted, by superseding it with ‘some sentiment more dominant and gripping which would contain in it the elements of universality as against particularity.’ No other organization would be as uniquely qualified to accomplish this task as the Church…. 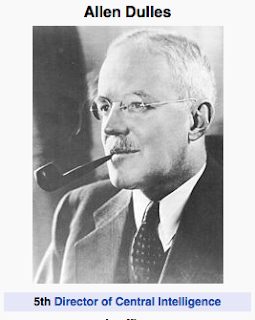 Dulles idealized the Christian Church as an exemplary community which had demonstrated the ability to transcend the limitations of the nation state…. During the 1930s the Federal Council Bulletin urged its audience to propagate the social gospel. It exhorted its readers to reject any notion that there was a basic conflict between the preaching of the gospel as such and the need to make known the Social Creed of the FCC. The Federal Council knew that unless it could secure a deep dedication to the ethical principles of the Gospel, and a deep commitment to the Jesus who was presented as the living embodiment of these ethical ideals, there would be no motivating power for Christians to struggle for the realization of the kingdom of God in the national life. Without adhering to basic Scriptural concepts, therefore, the Council’s social appeals were couched in biblical terminology. Although mentioning the sin problem frequently, it was usually in the context of sins against society rather than sins against God. Regeneration was masterfully redefined as a new social awareness. The substitutionary atonement of Christ upon the cross was deemed insignificant and was rarely if ever mentioned. The Reformation dictum, that humankind can find peace with God only by being justified by faith, was simply ignored as without relevance. Credible historical research requires examining original source documents as much as possible. If this is not possible, then historians rely upon eyewitness accounts and authenticated secondhand sources. 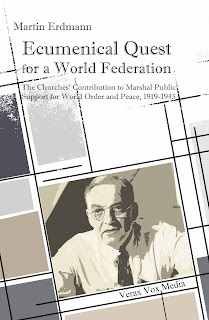 The exhaustive footnotes in Ecumenical Quest for a World Federation provide overwhelming evidence that the facts laid out in this book are not conspiracy theory. This is what makes Dr. Erdmann's book so interesting. There is compelling history in this book that cannot be found elsewhere. Particularly in recent years there has been an influx of historical books detailing the years surrounding World War II as government files have opened up. Yet the history found in these books is often so scrubbed that they reek of bleach. Dr. Erdmann is to be commended for his fortitude. In modern academia there are increasingly severe constraints and censures regarding publishing the sort of history that is contained in Ecumenical Quest for a World Federation. There is an ongoing problem with tunnel vision. Many historians neglect to examine the full picture, nor do they question when there are obvious missing details, dismissive summaries, or an obviously slanted account. A good historical researcher needs to be a bit obsessive-compulsive. Facts that are uncomfortable, or don't fit a preconceived idea, need to be dealt with even if they are repulsive or formidable -- or politically incorrect. A good historian must possess courage to stand against the tide of postmodern revisionist narratives. We have often observed significant omissions in the historical research on the rise of Dominionism. First, the history is being written by the opposition: one need only look at the skewed and slanted entry for Dominionism (labeled "Dominion Theology") on Wikipedia to see a prime example of this problem. (Read our posts Who Invented Dominionism? and Denying Dominionism.) Second, most critics of Dominionism come from the political Left. In addition to the myopia of their personal biases, they typically look at the issue through the tunnel vision of the political/religious activities of the Christian Right during the past few decades. However, it is our studied opinion that they are missing the decades of controversial activism that went on before. Earlier history reveals that the political Left is just as much to blame for the rise of Dominionism as the current Christian Right. 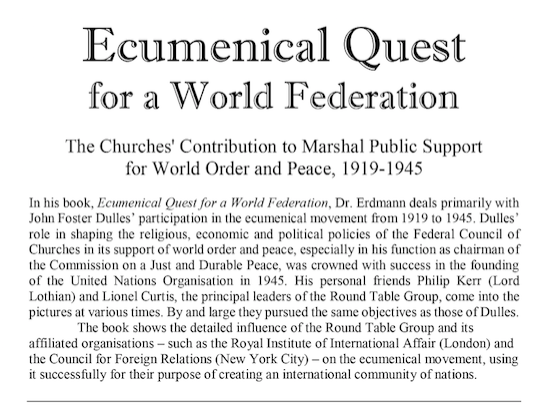 Ecumenical Quest for a World Federation is must-reading for those who have a curiosity about what went on before. It also fills a very valuable gap in historical research on the rise of the "church and state" Dominionism during the turn of the last century through the 1940s. The original vision of the Dulles brothers and their internationalist ecumenical cohorts never died. It has just been updated and re-cast into new molds. Spiritual awakening comes when the mind rises.... At this stage men has a spiritual vision of the Divine light and is struck with wonder at its beauty and glory. His mind then no longer runs after worldly pleasures.... When the mind rises [higher]... man becomes free from nescience and ignorance. He then talks only on subjects relating to God and grows impatient if any worldly topic is discussed. He avoids hearing about worldly subjects... When the mind rises [higher]... man becomes merged in divine consciousness.... Seeing the beatific vision of God he becomes mad with joy and longs to come closer to him and be united with him.... One may compare God to the light in a lantern. You seem to feel its warmth, yet though you wish to do so, you cannot touch it, on account of the glass intervening.... When one rises [higher]... one realizes his oneness with God. Here is an example of spiritual meditation from Sarah Young's 2004 bestseller Jesus Calling. In these quotes below it is Sarah herself who is speaking about her experience with practicing meditation to invoke a feeling of "the Presence of God." 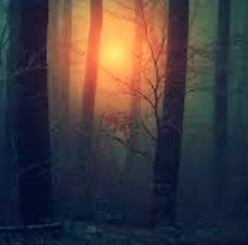 “I first experienced the Presence of God in a setting of exquisite beauty.… I went into a deeply wooded area, feeling vulnerable and awed by cold, moonlit beauty. The air was crisp and dry, piercing to inhale. Suddenly I felt as if a warm mist enveloped me. I became aware of a lovely Presence, and my involuntary response was to whisper, 'Sweet Jesus. '” - Jesus Calling introduction, pages VI & VII, 2004 unrevised edition. 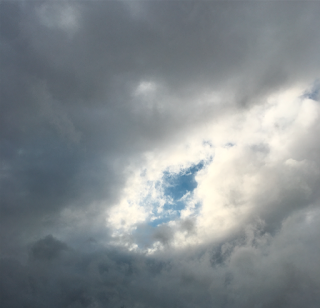 “When I prayed for myself, I was suddenly enveloped in brilliant light and profound peace. I lost all sense of time as I experienced God's presence in this powerful way.” - Jesus Calling introduction, pages X & XI, 2004 unrevised edition. Compare the experience described by Sarah Young with the quotation above it. Can you see the similarities? The quotation above it came from page 75 of a book titled KUNDALINI: The Arousal of the Inner Energy by Ajit Mookerjee (Destiny Books, 1986), a horrific and seductive manual on how to achieve an experience of a presence, which turns out to be serpent power. In these examples can be seen evidence of the emerging common denominator between evangelical mysticism and other world religions, which is meditation. There is very little difference between the meditation taught by eastern religions and the practices currently in vogue in evangelical circles. Both teach that by practicing meditation and doing things to increase the experience of "the presence" that one can attain higher levels of spirituality. What is the difference? How can you tell? In his book RUN! It's Jesus Calling! Why You Should Throw Away Your Copy of Jesus Calling author Steven Hudgik explains. He has given us permission to reproduce his chapter 13 in its entirety, titled “HOW CAN I EXPERIENCE THE PRESENCE OF JESUS?” Pastor Hudgik begins the chapter with the two quotations from Sarah Young, and then continues. . .
What is the overall theme of the Jesus Calling book? Its full title is, “Jesus Calling, Enjoying Peace In His Presence.” Based on the title I assume there is a focus on experiencing the presence of Jesus (God). And that is what we see when we read this book. Just in the introduction Jesus Calling speaks about the presence of God 19 times. When we read the Jesus Calling devotions we find the same focus on being in the presence of Jesus. I randomly picked a date, which turned out to be October 13th, and I counted the number of times being in the presence of Jesus is mentioned in the next ten devotions. It was 18 times. In addition, phrases that imply the presence of Jesus, such as “aware of my companionship,” are commonly used. Experiencing the presence of Jesus is a huge part of this book. So let's find out what Jesus Calling means when it talks about being in the presence of Jesus. We'll also look at the true Biblical meaning of being in the presence of Jesus. According to Jesus Calling, what does it mean to be in the presence of Jesus? In Jesus Calling the presence of Jesus seems to be a feeling you experience. In the 2004 introduction to Jesus Calling Sarah Young describes being in the presence of Jesus as feeling like there is a warm mist around her. In another part of the same introduction she says it is like having a bright light around her. My general impression is that, according to Jesus Calling, the presence of Jesus helps you relax, have peace, and to get through the day's troubles. What do we need to do to experience the presence of Jesus? Jesus Calling gives many other ways to experience the presence of Jesus, but none of them are in accordance with scripture. So once again we have a complete disconnect with scripture. Jesus is a soft, fluffy, comfortable Jesus who is your best friend. 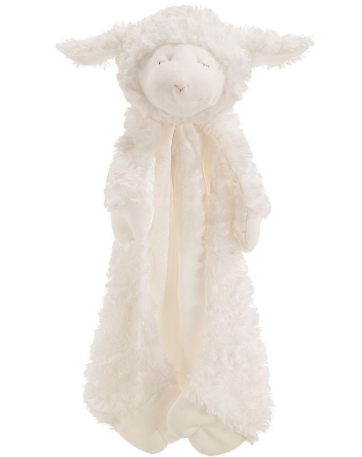 He is always there to share the burden of your troubles, wipe away your tears, give you peace, and keep you feeling warm and comfortable inside. To experience the presence of Jesus you need to do things such as remember him, whisper his name, trust him, and turn to him when you are in need. BUT... the problem is that this is not scriptural concerning coming into and being in the presence of Jesus, and this is not the Jesus of the Bible. This Jesus is not the Jesus who loves you, who truly cares about you, and who died for you. What does it mean Biblically to be in the presence of God, and how do you Biblically come into the presence of God? Consider this: Jesus is God and God is omnipresent. This means God is present everywhere at all times. That means everyone is always in the presence of God. It is impossible for us to move out of the presence of God. 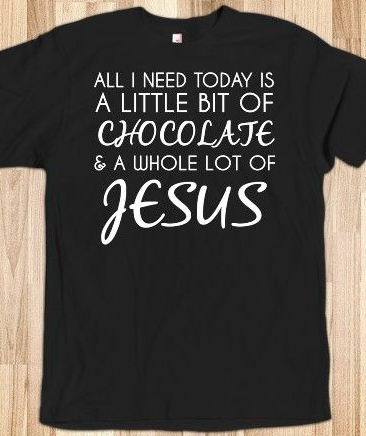 But, this is not the type of presence we are referring to when we talk about Biblically being in the presence of Jesus. What it means is to be saved and thus be in a relationship with God. It is not a feeling or experience, as described in Jesus Calling. It is the reality of being seated with Christ in heaven the moment you are saved (Ephesians 2:6) It is the reality of having Christ dwell within you the moment you are saved (John 14:23 and 15:4). But, let’s start at the beginning. How do we come into the presence of Jesus in the first place? What keeps us from the presence of God? Fact #1 - Sin separates us from God. Sin separates us from God. You are a sinner, and that means you are separated from God. His face is hidden from you. What can you do to change that? Nothing. Doing the things the Jesus in Jesus Calling commands you to do will not bring you any closer to Jesus. Sin is a barrier that cannot be breached by human effort. Fact #2 – We WERE enemies of God. But, we have been reconciled to God through the death of Jesus. To be reconciled to God means we are no longer God’s enemies, instead we are in a relationship with God. This happens through faith, which is a gift of God. Through the faith given to you by God, you trust in the work of Jesus on the cross—His paying the penalty for your breaking God’s laws—and you are saved from that penalty. Now, when God looks at you, instead of your sin He sees the righteousness of Jesus Christ. And that is why you, as a believer in the cross of Jesus Christ, are in a relationship with God. If you have repented and are trusting that Christ has paid your penalty for sin... trusting that He paid your penalty for breaking God's laws... then you are free from the penalty for sin! Free from sin and united with Christ. AND Jesus is actually living in you now! Not only are you in the presence of Jesus, you have been united with Jesus Christ your Lord. Fact #3 – All believers will experience the trial of feeling separated from God. A key passage in 1 Peter (1 Peter 1:3-7) will help you appreciate that times of distress are common and are for the good of God's children. Amid the rich details of God's glorious grace, resides an affirmation that those who rejoice in their salvation will also experience distress due to various trials. Based on 1 Peter 1:3-7 we can know that our time of darkness will be temporary, and that it has a purpose. It is a test of your faith that will strengthen your faith. This sounds nothing at all like what Jesus Calling says. In Jesus Calling it is up to us to do something so we feel closer to Jesus. But, the reality is that God is in control. He does it all. If I feel distant from Jesus, what should I do? Be in prayer. Spend time talking with God. David’s prayer in Psalm 13 is a good example. Be in God’s Word. Read your Bible every day and be in obedience to what you are reading. That is called seeking His righteousness. And remember, God is always present with you even when He feels far away (1 Peter 2:9). God is never far from a believer. Examine yourself (2 Corinthians 13:5). Are you turning to sin for comfort instead of God? Or are you pure in heart (see Chapter 23)? The fact that sin separates you from God is foundational. You can't talk about being close to God without talking about sin, repentance, and confessing your sin to God. But, Jesus Calling says nothing about sin, repentance, redemption, nor confession of sin. It seems that Jesus Calling is about making you feel good, instead of being about the truth and leading you to a right relationship with God... which is the only way to have a close relationship with God. And finally remember God is in control. These four points are not magic, meaning that if you do them you’ll automatically feel closer to God. This is not the God of Jesus Calling. This is the true God, creator of you and the entire universe. God will draw nearer to you, when He determines the time is right. • The Battled Bride: Part 6, Herescope, April 22, 2014; . Warren Smith published his concerns about Sarah Young's Jesus in his book Another Jesus Calling: How False Christs are Entering the Church Through Contemplative Prayer. See HERE and HERE. 1. KUNDALINI: The Arousal of the Inner Energy by Ajit Mookerjee (Destiny Books, 1986), p. 75. WARNING: This is a very horrible graphic and occult book that dispels any notions one might have about meditation being an innocent mental health exercise.